Davidia involucrata is the only member of its genus but there are two varieties separated by their leaves, var. 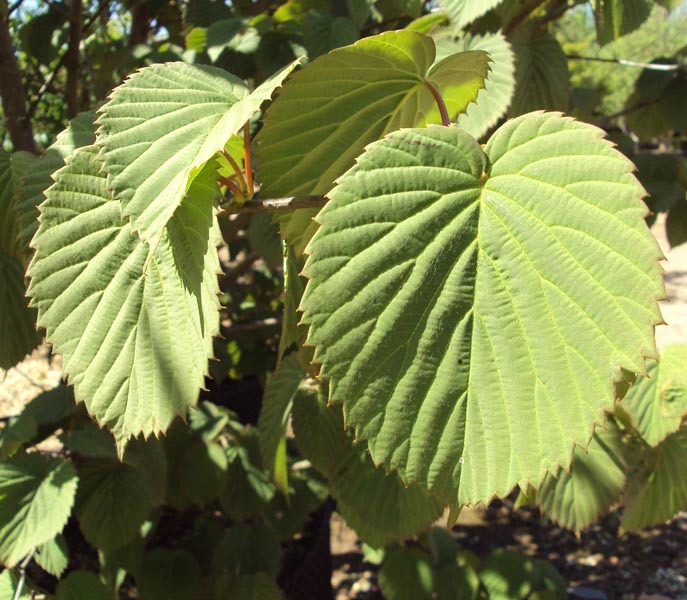 involucrata which whose leaves are short haired on the underside and var. vilmoriniana which have hairless leaves. 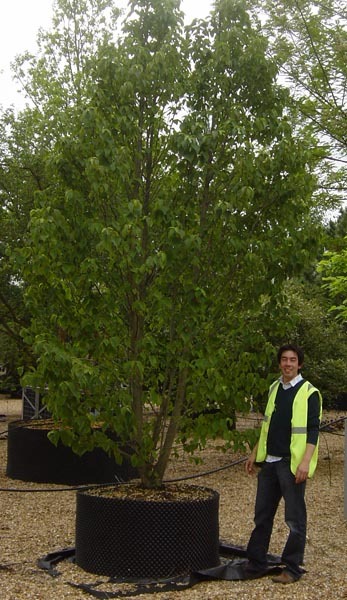 A small/medium sized tree it is most well known for its astonishing white, large bracts that hang like pinched handkerchiefs from its branches in May. The foliage is midsized and heart shaped, of a attractive green colour in summer turning shades of orange and yellow in winter with young foliage in spring having a red/purple colour and a spicy, incense fragrance. 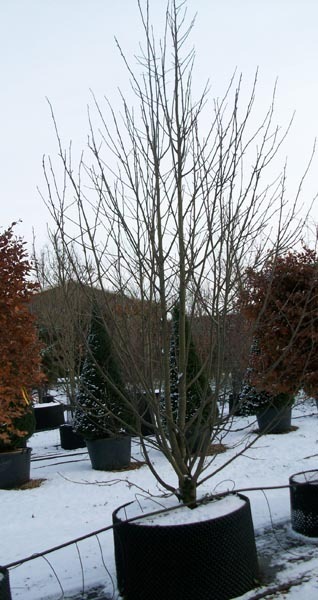 Small inedible pear shaped fruits are produced in the spring. 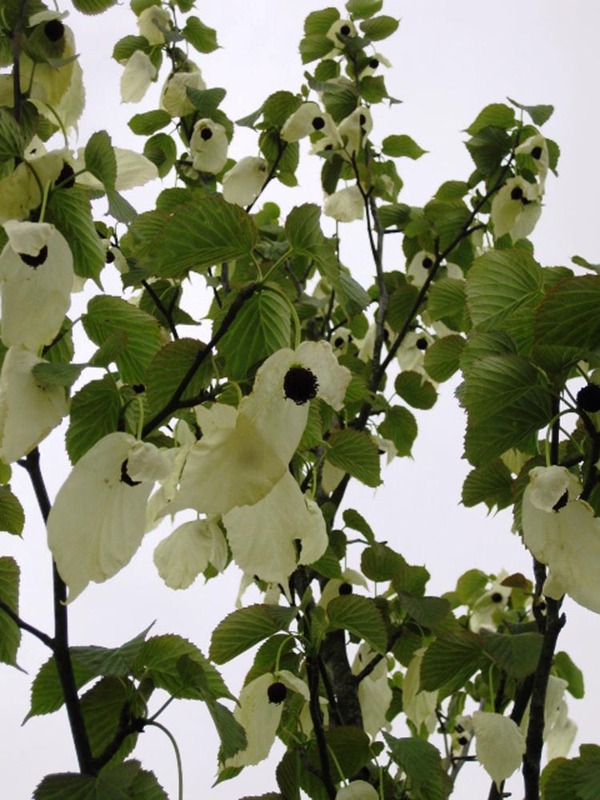 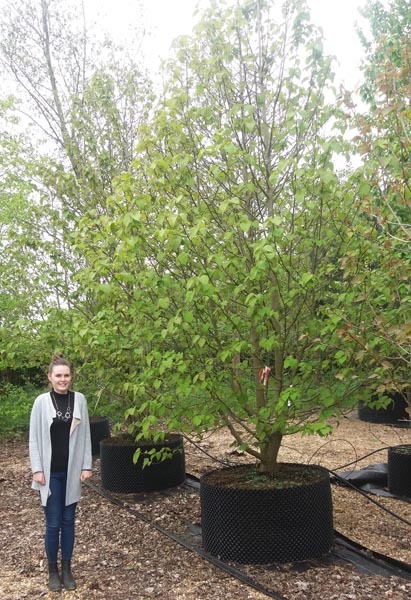 FACT: The Davidia involucrata is named after the French missionary and botanist Father Armand David who was also the first westerner to report a sighting of a panda!